The Leafs drew first blood in their Round One series against Boston, playing a near-perfect road game en route to a 4-1 victory. It was Toronto’s first Game 1 victory in a playoff series since 2003 (Eastern Conference quarter-final versus Philadelphia). Mitch Marner scored a pair of goals to extend his playoff point streak to seven games, dating back to 2018. 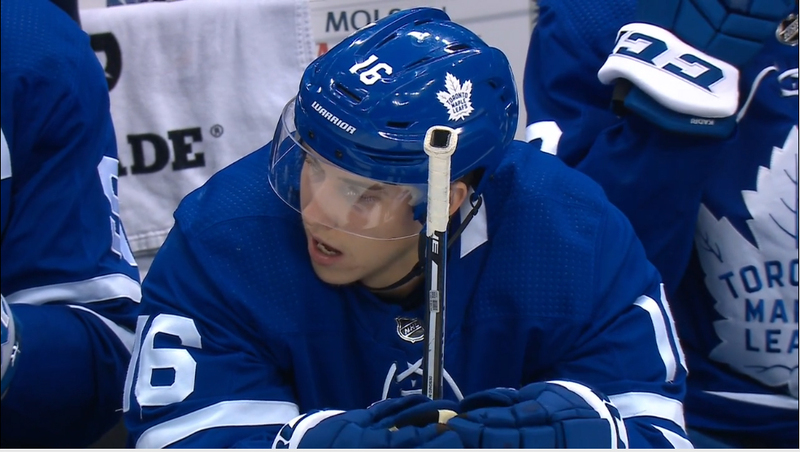 After converting on a rebound in the first period during a flurry in which his team hit the post twice, Marner saved his highlight reel play for the second frame. He drew a penalty shot after being tripped by Jake DeBrusk on a shorthanded breakaway, then showed great patience in outwaiting Bruins netminder Tuukka Rask for what turned out to be the game-winning goal. A phenomenal breakout pass from Nazem Kadri to William Nylander resulted in the Leafs’ third goal. Toronto had a pair of subsequent breakaways to close out the second period, but neither John Tavares nor Auston Matthews was successful. The fourth line of Trevor Moore, Frederik Gauthier and Connor Brown brought a great work ethic to the game. It was Brown’s hit on Marcus Johnasson that gained momentum for Toronto in first period with the Leafs down 1-0. Frederik Andersen had a solid 37-save outing and was called upon to make several big saves, particularly in the second period during which Boston generated 21 shots. Toronto’s defence – despite a lackadaisical second period – thoroughly neutralized its opponents. The Bruins were held without an even strength goal. William Nylander’s lazy retaliatory penalty on Connor Clifton led to Boston’s opening goal of the game, a power play marker by Patrice Bergeron. Toronto seemed to be standing around for a stretch in the second period, leaving Andersen to his own devices to preserve the lead for his team. Luckily for the Leafs, Nylander’s goal seemed to break the game open. Come on Leafs Twitter. “4-1 lead in Boston” jokes? That was 2013. Let it go.